The dynamic capacity theorem characterizes the reliable communication rates of a quantum channel when combined with the noiseless resources of classical communication, quantum communication, and entanglement. In prior work, we proved the converse part of this theorem by making contact with many previous results in the quantum Shannon theory literature. 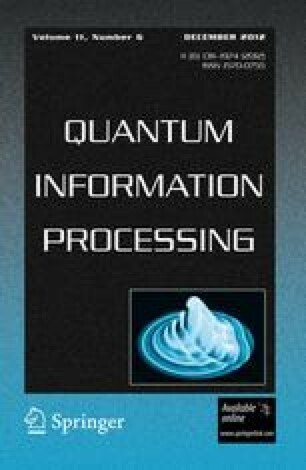 In this work, we prove the theorem with an “ab initio” approach, using only the most basic tools in the quantum information theorist’s toolkit: the Alicki-Fannes’ inequality, the chain rule for quantum mutual information, elementary properties of quantum entropy, and the quantum data processing inequality. The result is a simplified proof of the theorem that should be more accessible to those unfamiliar with the quantum Shannon theory literature. We also demonstrate that the “quantum dynamic capacity formula” characterizes the Pareto optimal trade-off surface for the full dynamic capacity region. Additivity of this formula reduces the computation of the trade-off surface to a tractable, textbook problem in Pareto trade-off analysis, and we prove that its additivity holds for the quantum Hadamard channels and the quantum erasure channel. We then determine exact expressions for and plot the dynamic capacity region of the quantum dephasing channel, an example from the Hadamard class, and the quantum erasure channel. An erratum to this article can be found at http://dx.doi.org/10.1007/s11128-012-0451-2.